African miner Lucara Diamond Corp. (TSX:LUC) recoved two "exceptionally rare" blue diamonds from its Karowe Mine in Botswana. According the company's news release, the larger of the two diamonds recovered has a weight of 4.77 carats with the smaller diamond weighing 0.2 carats. Options for the sale of the stones are currently being investigated. Lucara said it recently sold a 9.46 carat blue diamond recovered from the Karowe Mine for $4.515 million. 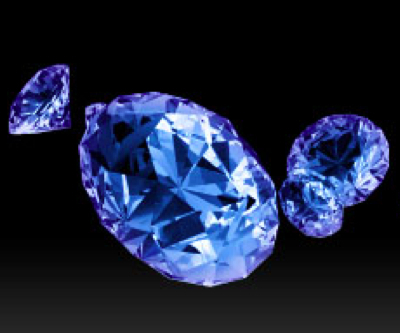 "The recovery of the 4.77 carat blue diamond brings the total number of blue diamonds recovered in the past few months to four," said the company's CEO William Lamb. "The re-occurring recovery of these exceptionally rare and sought-after stones is highly significant and confirms the quality of the diamonds produced from the Karowe Mine." Lucara Diamond runs the Karowe Mine in Botswana and the Mothae Project in Lesotho.